The Ohio Fire Academy (OFA) has arranged for greatly reduced pricing on online training memberships for all Ohio fire departments, EMS agencies, firefighters, and EMS providers. Memberships feature 24-7 Fire and 24-7 EMS courses for firefighter development and EMS continuing education. Every course is approved by the OFA to meet continuing education and professional development requirements in Ohio. Training administration for your department is a breeze using Otis tm, the included online training management system. Courses can be delivered through unlimited-use memberships for those with ongoing training needs or individually through single course credits. Register your department by calling 1 855 580 9333. An advisor will work with you to get your department set-up and ready to go. Looking for yourself? Individual Ohio firefighting and EMS providers get the same reduced pricing offered to departments. 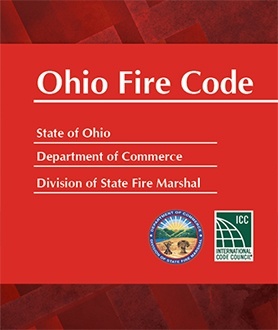 Almost 200 courses are currently available, including over 70 fire protection courses for firefighters, fire inspectors, and officer development; over 100 EMS CE courses to help meet Ohio EMT and paramedic renewal requirements; and 20 workplace safety courses to comply with workplace safety requirements. Choose the course package that best fits the needs of your department. Want a course that is not in your package? No worries! Any course not included in your package can be accessed through single course credits. Click on the course packages below to see which courses are included. Firefighting courses are compliant with the National Fire Protection Association (NFPA) and based on Occupational Safety and Health Administration (OSHA), Center for Disease Control (CDC), and International Fire Service Training Association (IFSTA) materials. EMS CE courses are based on the most current EMS educational guidelines from the U.S.D.O.T and are accredited by the Continuing Education Coordinating Board for Emergency Medical Services, (CECBEMS). The Ohio Fire Online Training Service is brought to you by the Health and Safety Institute working in partnership with the Ohio Fire Academy. The OFA has negotiated specially reduced pricing to any fire department, EMS agency, firefighter, or EMS provider in Ohio. We are here to help, please call us at +1 855 580 9333, and we would be happy to answer any of your questions.